The engagement ring is given by a groom to-be to his future wife as a symbol agreement of marriage between the two of them. Its use dates back to the time of the ancient Romans when men gave their future brides, not a fancy ring made of expensive metal, but an iron hoop. 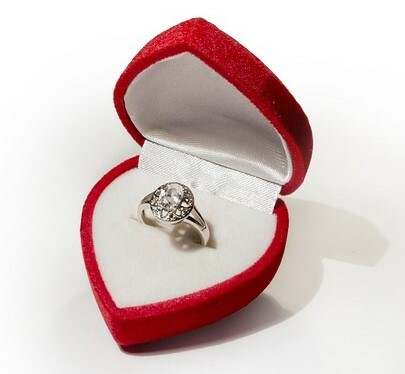 It’s a good thing that times have changed now and that engagement rings already have a touch of class in them. However, buying one can be a confusing task for the man, especially if he has no idea about rings and even precious metals and gemstones. Here’s a guide to help the clueless men out there. 1. Take the girlfriend out shopping. While shopping for other things, the man can try bringing his girlfriend somewhere near rings are being sold. Pass by a shop and pretend to look at them. More often than not, the woman will give her opinion on what she thinks looks best among those on display. This will give the man a hint on what to buy. 2. While number 1 is lame, the man can also look into his girlfriend’s sense of style. If she likes fancy dresses, then the man should get a fancy ring that will surely, well, tickle her fancy. Otherwise, a simple ring will do. 3. But if all else fails, it would be better for men to bring their girlfriends along when buying the ring so men can be sure what their women will like. However, they should at least find creative ways of doing this rather than simply saying, -Come on honey, let’s buy you an engagement ring.